A view over the Sound of Islay from Feolin on Jura, watching the Jura ferry approaching. Caol Ila distillery visible in the distance on Islay. 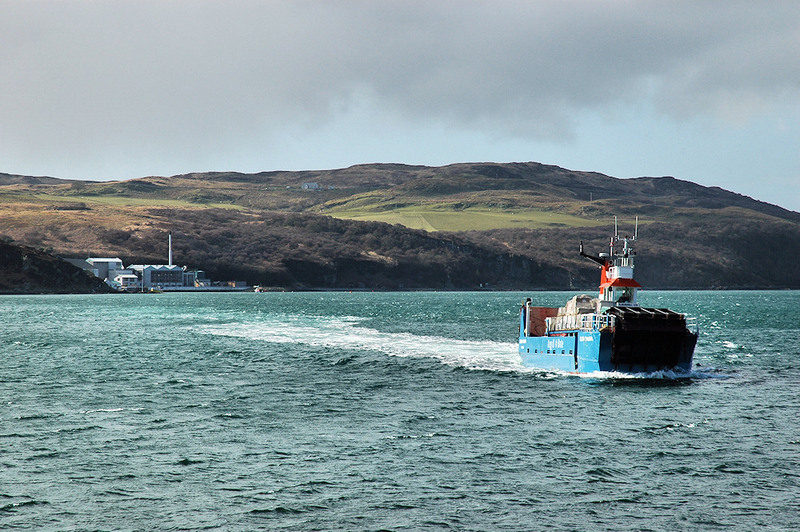 This entry was posted in Cloudy Weather, Distilleries, Jura Excursion, Landscape, Repost and tagged Caol Ila, Islay, Jura, MV Eilean Dhiura, Sound of Islay by Armin Grewe. Bookmark the permalink.